What are your most pressing marketing initiatives? As we plan the remainder of 2015 and gear up for 2016, it’s always nice to do a litmus test to see what is top of mind among other marketers. According to new research from Demand Gen Report, “The Full-Funnel Effect”, web redesign and customer-centric programs rank as top priorities, with 55% and 53% of marketers surveyed respectively indicating they plan to execute within the next 12 months. 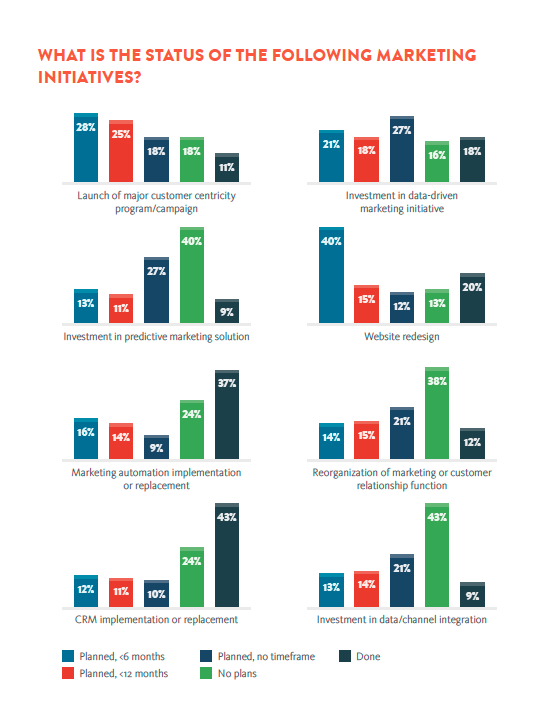 Implementing or replacing marketing automation (39%). See the full research in our latest ebook, in partnership with Demand Gen Report.